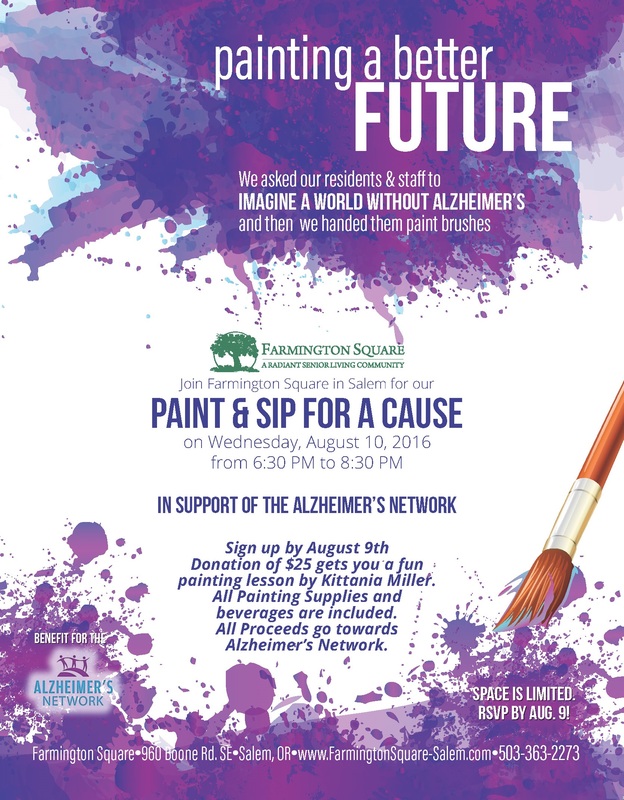 Join Farmington Square in Salem for our Paint and Sip for a Cause on Wednesday, August 10 from 6:30 PM to 8:30 PM in support of the Alzheimer’s Network of Oregon! Sign up by August 9th. A donation of $25 gets you a fun painting lesson by Kittania Millet. All painting supplies and beverages are included. 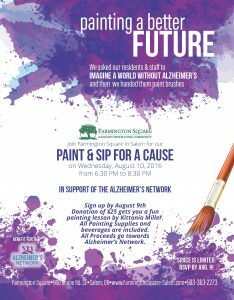 All proceeds go towards the Alzheimer’s Network.